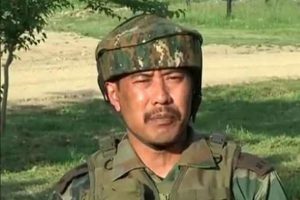 As the Army’s Court of Inquiry (CoI) indicted Assam-born Major Leetul Gogoi on Monday, Farooq Ahmad Dar, an artisan used as a ‘human shield’ by the officer welcomed the decision saying, “justice has been finally done”. Gogoi was indicted for allegedly ‘fraternising’ with a local woman in a Srinagar hotel and ‘being away from the place of duty while in operational area’. According to sources, this will now lead to “disciplinary action” against Gogoi. A report published in the The Indian Express quoted Dar as saying, “I am thankful to the Almighty. The person who ruined my life has to face the wrath of God finally. God has his ways of doing justice.” The incident, which took place on April 9, 2017, left the 28-year-old “traumatised” and unable to resume his job as an embroidery artisan. He further said that the Army should have treated his case also on compassionate grounds and listened to his version of the incident that sparked an outrage. 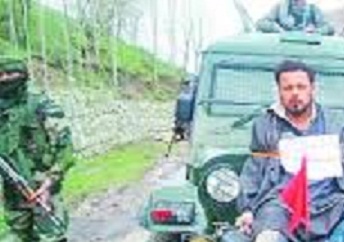 It may be recalled that Gogoi had, last year, tied Dar to the bonnet of an Army jeep, using him as a shield against stone pelting in Kashmir’s Budgam district. While this incident garnered global attention and sparked a controversy, Dar was shunned by villagers for allegedly being a Government agent. The report further stated that Dar, who has been suffering from depression since then, had pleaded to Gogoi to release him. “The Army Major was arrogant with power and considered himself as my creator. However, little did he know that ‘uski lathi mein awaaz nahi hai’ (lightning makes no sound until it strikes),” he said. The incident took place on the election day for Srinagar Lok Sabha constituency, and according to Dar, he was on his way to cast his vote, despite the boycott call by separatists. Eight people were killed in police firing on the day. The probe by Central agencies and local police revealed that the Army had “falsely accused” Dar of being a stone-pelter, whereas he was on his way to his sister’s place for a condolence visit after voting when the Army picked him up and beat him mercilessly before tying him with ropes and parading him through nearly 28 villages. Dar, who continues to face a social boycott, said “I have not been able to understand my mistake. Was it going to the polling booth and casting my ballot wrong?” Major Leetul Gogoi belongs to Namrup in Eastern Assam. Major Gogoi’s home town, located about 80 kms from Dibrugarh amid forests in the Patkai Hills, has itself been in the past the hotbed of insurgency movements. Namrup was a stronghold of United Liberation Front of Assam (ULFA) terrorists.